We build custom eCommerce and retail software products from scratch, as well as individualized CMS based solutions. What they all have in common, is a human-centered design and effective performance. Whether we engineer a small web shop, or a multi-featured two-sided marketplace, your users have a worthwhile experience making purchases and interacting online. We thoroughly develop your website’s storefront design, checkout system, and integrate payment and shipping options. We also add any other functionality, upon your request. A well-built eCommerce or retail solution minimizes the time-consuming tasks while streamlining ineffective internal processes. With that in mind, our team engineers subsystems that help you efficiently manage orders, inventory, delivery of goods, and schedules as well as covering human resources. Customer behavior and purchasing habits demand special attention. Having valuable market data collected, be it from your internally developed CRM system, or Salesforce, you are able to have an effective dialogue with your customers. In this manner, you improve product offerings and increase sales via your website, eCommerce, or retail application. For your web application, website or mobile app, our team creates a human-centered design based on business analysis and statistical data. If you already have a solution, we focus on conversion rate optimization, which means using advanced analytics to enhance web performance. As a result, you use traffic more effectively, improve client retention, and acquire more income. Studies show that 78% of consumers are more likely to become repeat customers if provided with personalized offers. Thus, we apply machine learning algorithms gathering data, to create a unique user experience for each customer. This includes tailored deals, suggestions, custom notifications, and much more. To make a purchasing decision, your customers must be 100% sure that their transactions will be safe, and personal data will never be compromised. Hence, our team makes security the top priority. Specifically, we ensure that the product has an advanced permission system, a safe checkout, and an entirely secure payment functionality. 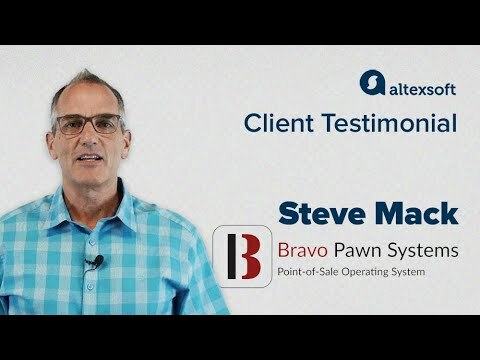 An online marketplace made by the AltexSoft team experienced a 100% growth in sales per month over the previous 12 months. AltexSoft listened to our needs and made sure we were getting the correct value for the service provided. Their leadership recognized our requirements and their groups efforts materialized. It became a very cohesive relationship.